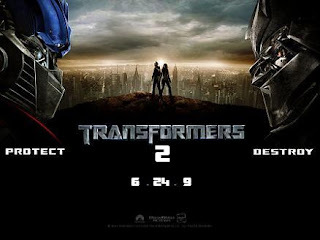 Yesterday I went to go and watch a movie with my dad and sister megan, the movie that we all wanted to go and see was Transformers 2 and WE all LOVED the movie. It was a lot better than the frist one, there was a lot more action, better use of special effects and there was a lot of funny moments. I am telling you right now that if you havent seen this movie yet GO OUT AND SEE IT!!!! I was so lucky to have an opportunity to review a book by the Ventrillo Brothers, there first book is called Rick and Bobo and I loved it. Ray aka Bobo the happy go loving fun loving brother who is complete polar opposite of his hot tempered but brilliant brother Richard. When Ray creates a "Whiz-ard" he becomes a millionaire, he shares his earnings with Richard and do things that they have never thought of before. But sooner or later Richard and Ray get bored and decide to make one of Ray's fantasies come true. Ray wants to become superhero, using Richards brilliant mind and the supplies from the Vanir coorporation they were able to make that fantasy some true. But they both soon realize that every superhero comes with a supervillian. I loved this book, Batman, Superman and Spiderman are nothing compared to Richard and Ray, their bond is strong and its just realistic and funny as hell. There were parts in this book that made me crack up out of nowherem fast paced and has action on every page. 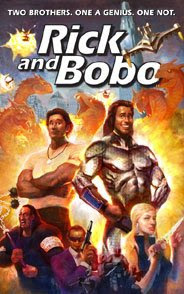 Rick and Bobo was realistic because it had explained in depth as to how their super powers came to be, not like other books where a spider bites them or they fall into a vat of toxic waste, in this book it was all pure science. 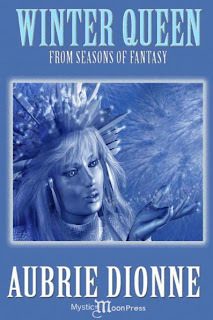 For me this book used all the combacks that I would have used if someone was to tease me, and the events that had occured that made me crack up were random and nothing that i have never thought of before. "Evil begets good and good begets evil"
Yesterday I went driving and I couldn't decide on where to go, and out of nowhere my sister asks me if I can drive her to Barnes and Nobles, then my other sister says she wasn't to go too. My sisters never read and this was a total surprise for me. I'm the sister who's know to read a lot, and my younger sisters are known to be the kids who watch TV and play on the computer all day. So when we get to Barnes and Nobles I figure my sisters would buy a picture book or some kind of magazine... My youngest sister Kalen buys a manga, and my other sister Megan buys the lightning thief book, I would understand if they would want to buy a book for school, but in Hawaii everyone is on summer vacation already. Kalen would always tell me that I should stop reading so much manga and read something else and yesterday she buys a manga. Megan tells me to watch more TV and all of a sudden shes buying a book. I am completely surprised and happy that my sisters are finally reading and not watching so much TV. This goes to show that people can surprise you no matter how long you've known them. Anyone read Mangas? I love to read them, my friend in elementary got me into them and havent stopped reading them since. My dad would buy me most of the mangas that I read and I love him for it, and being my mother she completly disagrees with my decision. Theres a store in Hawaii called Colector Maniacs, they have a whole bunch of Japanese products that are always on sale! The manga books in the store are always 25% off, and they always get the books earlier than Barnes and Nobles or Borders, and I am so happy that its just 5 bus stops away. There are a lot of sites that let you read manga for free, my favorite site is onemanga.com. Check it out there are mangas with many topics such as vampires, action, romance, korean manga and so much more. This is the worst way to start summer vacation IM GROUNDED, me and my mom never get a long(if youve read my older posts you would know) My parents contradict each other everytime, and usually ask my dad what time im suppose to come home from hanging out with my friends. He says whenever if i dont have to make dinner on that day. But with my mom its the complete opposite, she tells me to come home around 11. Yesterday I hung out with my friends all day, we went everywhere. My dad knows who im hanging out with and he says i can come home anytime, this time my cousins was with me. My mom never agrees with him on that... I dont do drugs, i never ditch class so im always wondering why doesnt she trust me like my dad. Did you know my mom thinks im a lesbian? Shes crazy!!! shes seen my boyfriend, and didnt even like him. Anyways since i have no curfew i came home around 3 am, and guess who was waiting...the lady who gave birth to me. She was so pissed off, but i didnt really care, i have learned not to care and my friends know i get grounded a lot. This is sad, me becoming grounded so much that my friends ask me everytime if im grounded. So i think im grounded for a week but my dad usually talks my mom out of it, so you never know...you might see me at the beach tomorrow. if your on summer vacation and not grounded...save me!!! So this month wasnt so bad as to the past months, and as of today I have one more week of school. I start school at 830 and end like at 140!!! The only downside is that I need to raise my grades and I only have a week to do it.